This month we asked a Mykidstime parent, and her son to review Nerf N-Strike Elite Rough Cut Blaster & the Nerf N-Strike Elite Firestrike. 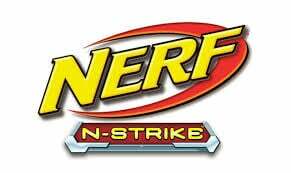 Find out what Jamie, aged 8, thought of the latest additions to Nerf. 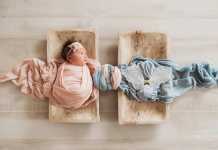 Product tested – the lowdown! 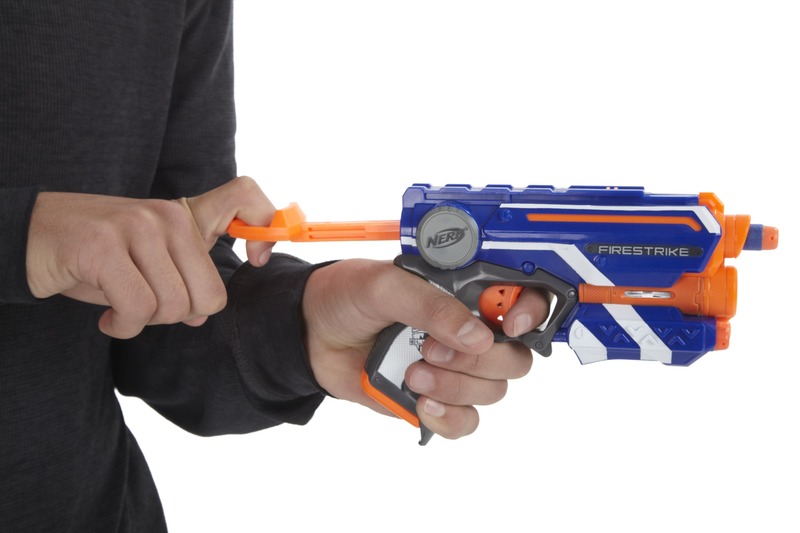 NERF N-Strike Elite Rough Cut Blaster delivers a double blast by firing 2 darts at once. Holds 8 darts for 4 double dart blasts. Multishot Madness. RRP: €26.99, Available from Smyths and all good toy retailers (price correct at time of publication). 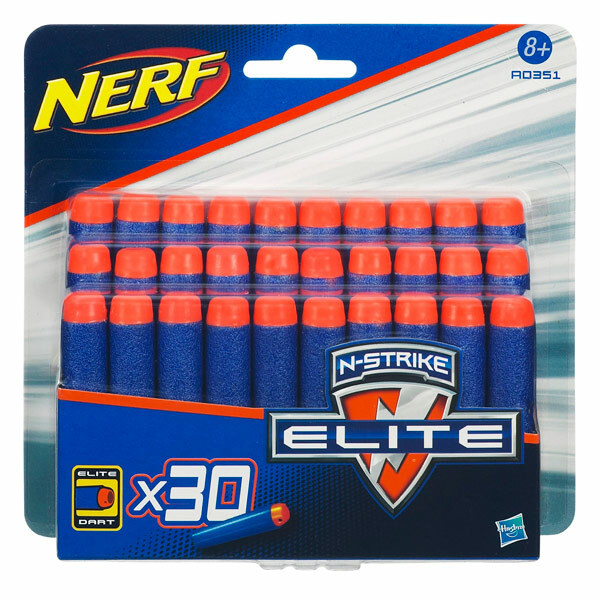 NERF N-Strike Elite Firestrike features a red light targeting beam with independent power trigger for aiming in the dark. 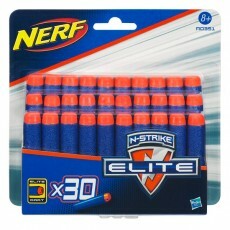 Comes with 3 N-Strike Elite Darts. RRP: €7.99, Available from Smyths and all good toy retailers (price correct at time of publication). This is a big, sturdy well-built shotgun. It basically fires 2 darts at a time by pressing on the trigger firmly. It can shoot darts singularly, by lightly pressing on the trigger but this is sometimes easier said than done !! 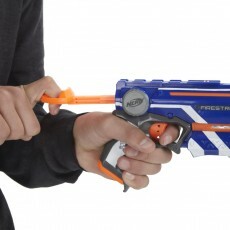 Reloading is simple – just slide the bullets into the dart holes at the front of the blaster. 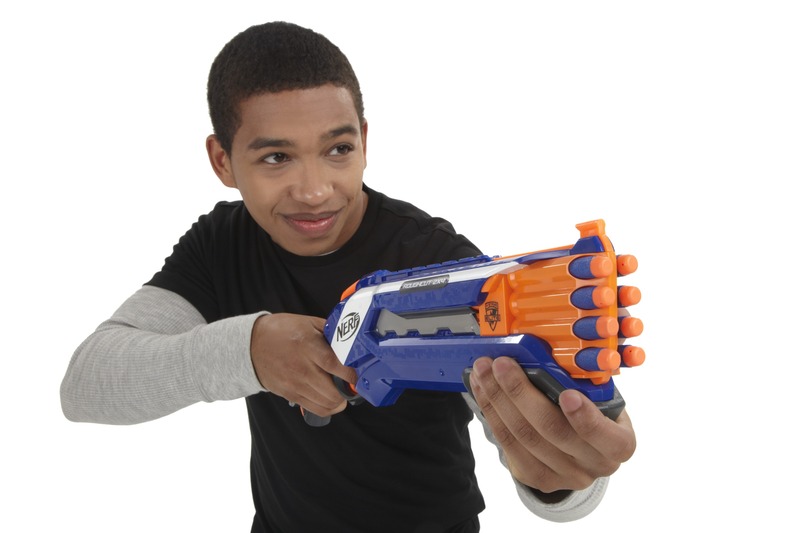 The priming mechanism is a track grip that slides back and forth, basically it’s a matter of pulling it back towards you and then pushing the grip forward and the blaster is primed. Jamie was strong enough to manage this by himself but his younger cousin aged 6, didn’t have the strength to do this by himself and continually had to ask for assistance. 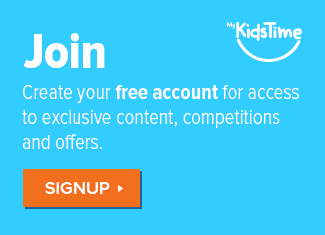 (Probably why it is suggested for aged 8+). On the downside, Jamie found that when he needed to reload fast and reprime at speed, some, if not all his bullets would fall out – not good when he was in a “Battle” situation with his pals !! To conclude, Jamie loved the power of the Rough Cut Blaster for long distance but the fact it was essentially a 4 shot shooter meant he ran out of ammo pretty quickly, therefore he felt he needed a “back-up” weapon !! This gun needs two AAA batteries for the target light beam. Note: this is a “light” beam not a laser. It is a single shooter with two slots for backup darts. After shooting the dart you’ll have to manually reload another dart. This is a little slow. Priming the Firestrike is done by pulling back on the ring sticking out of the back of the blaster. 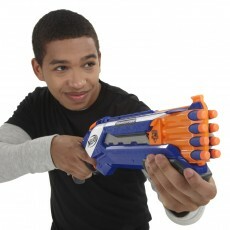 The pull is not too heavy and is easy to hold on to, making this blaster more suitable for younger children. The light beam is a fairly accurate indication of where you are going to hit over short distances The downside is that it is hard to see in bright light conditions, and it fades the further away you aim. With the reloading process being a tad slow, it is for this reason that Jamie thought this blaster is probably best for target practice or as a backup. But he loved this little blaster for it’s accuracy! The guns themselves are very sturdy and robust, and so are capable of taking the odd knock or fall. They proved not just to be a boys toy, with his sisters also wanting their turn, not to mention his Dad too !! But they came into there own when Jamie’s pals would come over for what they call Nerf Parties….. very noisy battles, to you and me! Great fun indoors or outdoors for the boys. Luckily, refill dart packs can be bought and they were needed…between lost bullets or the dog getting them before he had time to recover them. 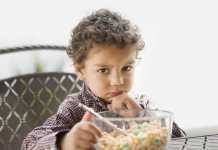 Overall, they are quite good value for money, and a toy that gets picked up and played with often. However, do expect to be finding lost bullets under sofas, behind the television and in other non-reachable places !! 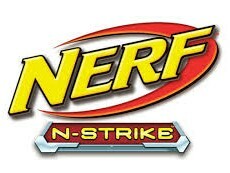 Have your kids tried Nerf range ? Tell us what you think in the comments below. 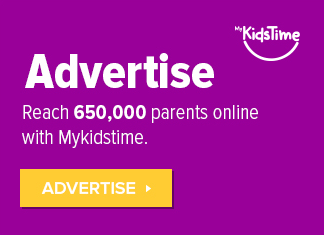 Previous articleInterested in writing for Mykidstime?